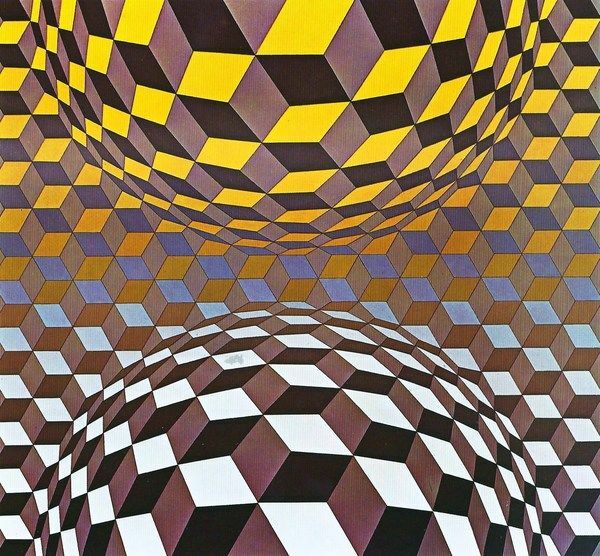 Below are examples of radial symmetry in art by artist Victor Vasarely. 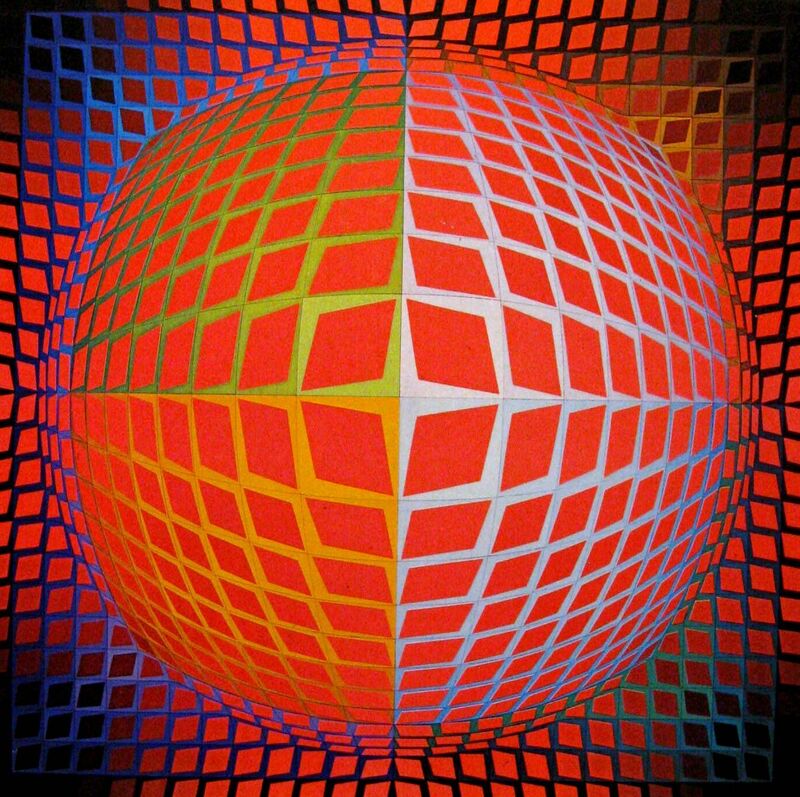 Victor Vasarely, was a Hungarian–French artist, who is widely accepted as a "grandfather" and leader of the op art movement. 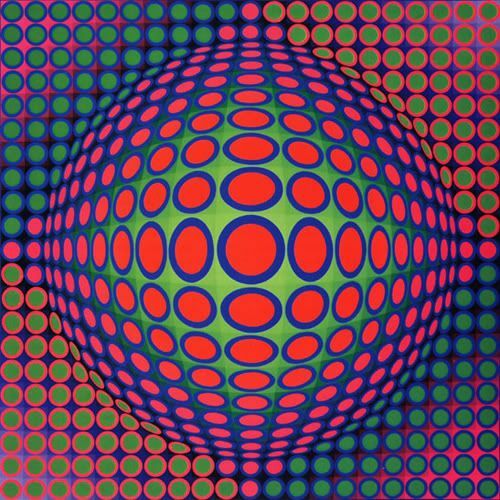 His work entitled Zebra, created in the 1930s, is considered by some to be one of the earliest examples of op art. I don't really like how the pictures move because it makes looking at the art harder. My favorite is the zebra picture because it doesn't move. I like the way that the majority of these pictures seem to be popping out at you. I like the second one the most because of this reason. 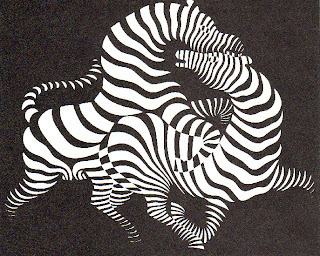 My favorite one is the zebra because the others hurt my eyes to look at. My favorite is the black and white squares because it challenges the mind. My favorite is the zebra because the way they twisting is just attractive. I think that it is interesting how the pictures seem to move or bulge out at you. But my favorite is the one of the zebras. I like the last one because of the colors and design. I like how each one of them has a different depth. My favorite is teh second one because of how it looks like it is popping out at you. My favorite is the 2nd one because it looks like you could reach out and touch it. I like the second one because it is very colorful and different. My Favorite one is the third one because it makes you think a little and it has you lost for a minute, Also because there are many different shapes. My favorite is the first one because I love how the contrast of the image looks like an actual family of zebras. 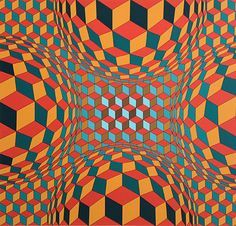 My favorite one is the 2nd one because it almost hypnotizes you and it is very colorful and vibrant. 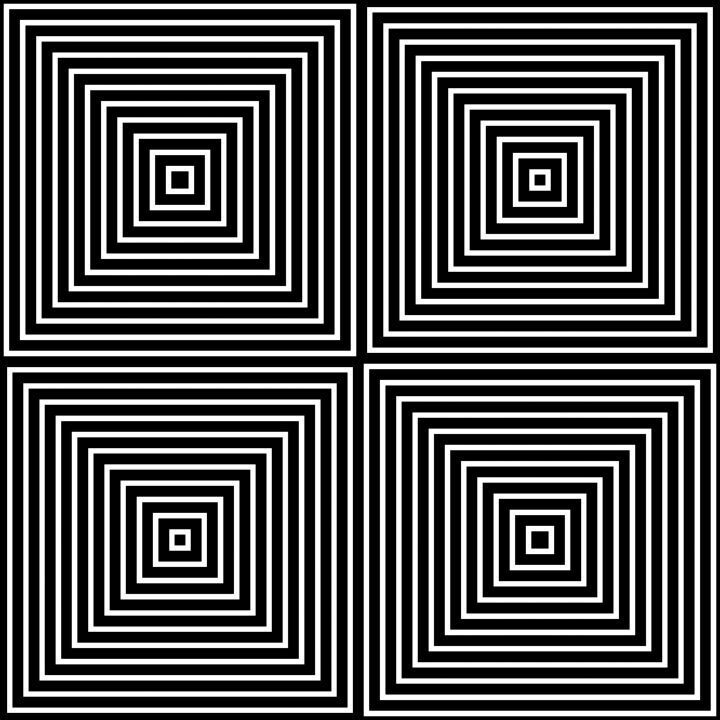 I like the black and white square one because it is the most interesting to look at. i think they are all very unique. my favorite is the first one.